With news of Angelina Jolie and Brad Pitt’s split dominating the Hollywood headlines, we thought we’d take a walk down memory lane of the famous (no longer) duo. These next 27 photos highlight some of Brangelina’s most intimate moments over the years, starting from the very beginning of their heated relationship. An intimate scene during the filming of Mr. and Mrs. Smith reveals just how much of a connection these two had right from the start. 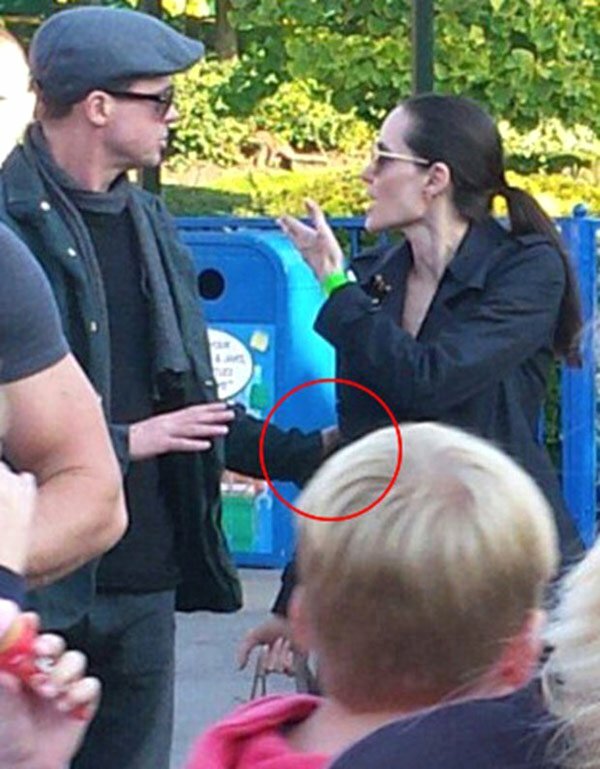 Seen here with Jolie’s adopted son Maddox (whom she adopted in 2002), Jolie revealed that she was pregnant with Pitt’s baby in 2006. This would be the first time either of the two publicly spoke of their relationship together. Once the the news of Angelina’s pregnancy was announced, the couple did not hold back being seen in public. They began traveling together and sharing their adventures all over the world. Here they can be seen on one of their first trips together in Vietnam in 2006. One of the main reasons Brad and Angelina clicked so well was because of their desire to create a huge family together. Here they can be seen together in India in 2006 with adopted children Maddox and Zahara. Early on in their relationship, Brad and Angelina made no attempts to hide their PDA. Here they can be seen showing affection to one another at the 2007 Golden Globe Awards. Witnesses stated the two could not keep their hands off one another. In 2007, the duo enjoyed a quiet, romantic dinner together in Prague. You can clearly see the connection and love these two shared from the very beginning. In 2008, you can see the pair’s romance was still on fire. Sharing intimate moments with one another as if no one else was around was not uncommon for these two. The Jolie-Pitts quickly grew from a family of 6, to a family of 8. Brad and Angelina reportedly sold the twin’s newborn photos to People Magazine for $14 million! 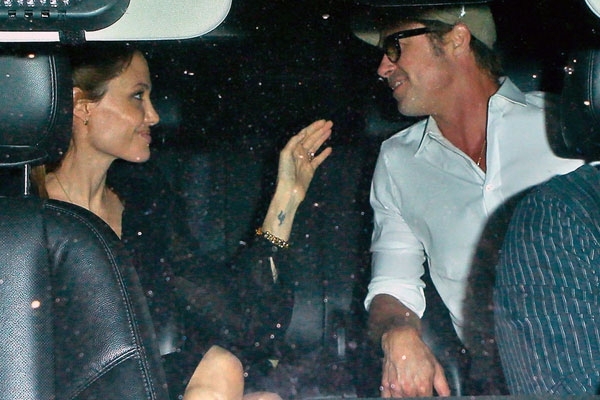 Brad loved and adored Angelina more than anything. Here he can be seen in complete awe of her at the Screen Actors Guild Awards in 2009. One would question how these two ever found time for just each other given their large, growing family. The pair once revealed their secret to privacy, which was escaping to a hotel room whenever they had the opportunity. 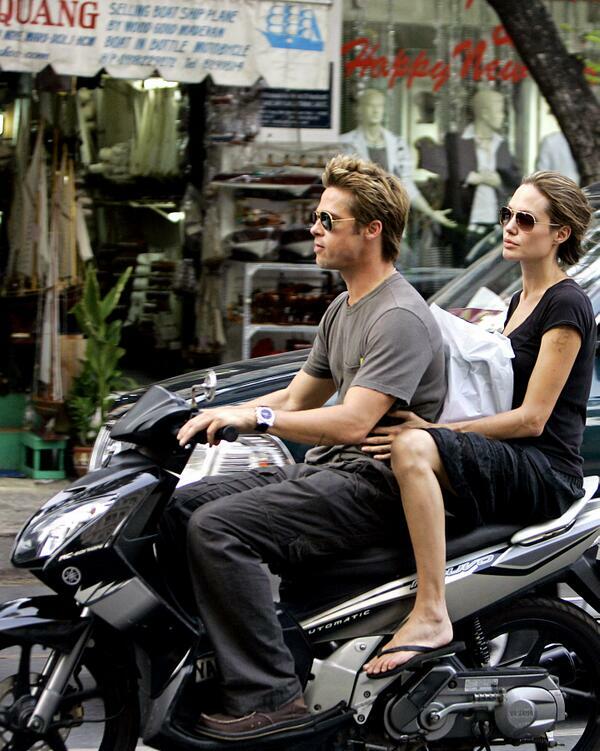 In addition to their undeniable attraction to one another, Brad and Angelina also shared an incredible friendship. 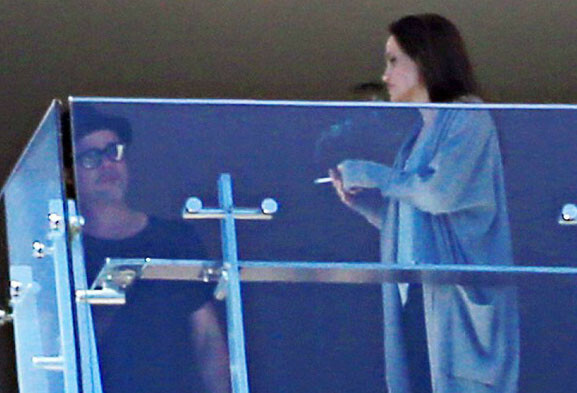 Brad always made Angelina laugh and they truly enjoyed their time spent together. Here they can be seen leaving dinner in LA in 2009. 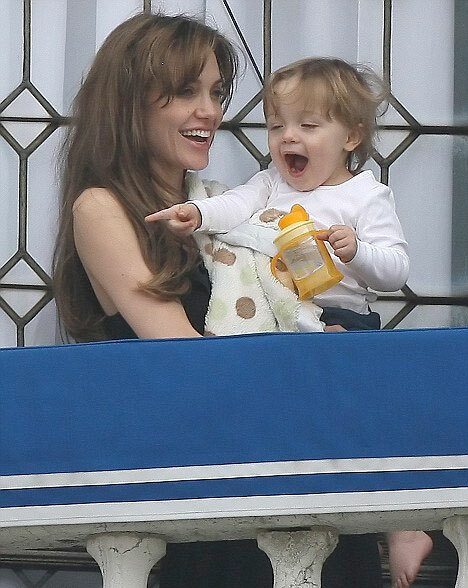 A sweet photo captured of Jolie with her son, Knox, in 2010. No matter how hectic the couple’s lives were, they always managed to put their children first and keep them close by. This family does not travel light, but that did not stop them from traveling frequently all over the world! Here, the family of 8 can be seen at the airport in Tokyo, one of their favorite destinations. Interviewed on The Today Show in 2013, Jolie shared with the world her decision to undergo a double mastectomy due to her incredibly high chances of getting breast cancer. Brad’s support and affection are no doubt what got her through this tough time in her life. Finally marrying in 2014, Angelina wore a wedding dress with drawings on it from each of their children. A very unusual, but precious idea the parents thought up to ensure their children played a significant role in their big day. Despite the rumors, the couple seemed to working through their struggles. The couple began filming a new movie together, By The Sea, in 2014. Another sweet moment captured of the two when they thought no one was looking. 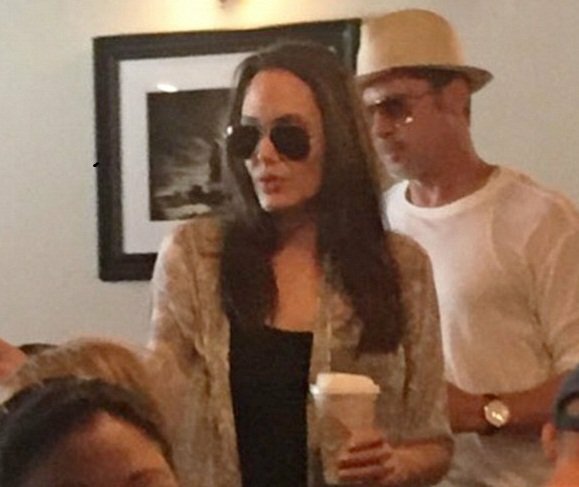 Even after all of these years, Brad and Angelina’s relationship seemed to be stronger than ever. 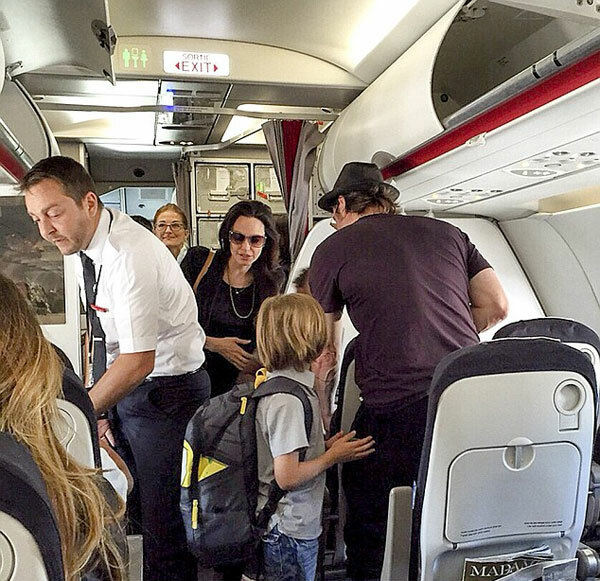 On yet another flight in 2015, the family boarded a plane in Paris on their way to Nice. It’s nice to see that even the famous can downgrade every once in a while. 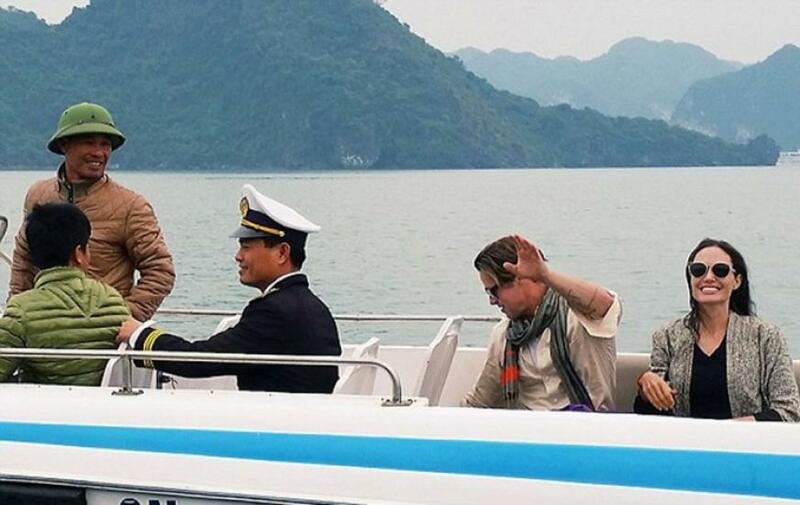 As rumors of “trouble in paradise” began to surface, the Jolie-Pitts celebrated New Years together in Thailand, as a final attempt to save their marriage and family. It’s easy to see here how forced their relationship has become.